Dr. Arnold S. Breitbart, M.D., F.A.C.S. Dr. Arnold Breitbart has extensive experience in the wide spectrum of plastic surgery. From his offices in Long Island and Manhattan, he provides renowned cosmetic surgery services to patients seeking SmartLipo with the latest SmartLipo Triplex device, as well as other cosmetic procedures. He also offers Cellulaze, the revolutionary latest advance in cellulite treatment, and the only treatment which attacks the structural problems beneath the skin that cause cellulite. Cellulaze is the only minimally invasive laser treatment for cellulite, and delivers long-lasting results in one treatment. Dr. Breitbart can perform SmartLipo and Cellulaze together in one procedure, or in separate procedures, as indicated. 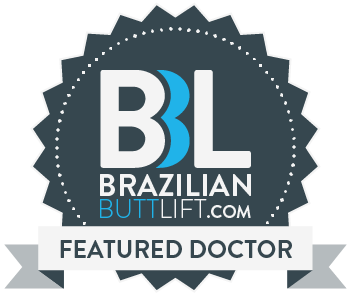 Unlike other physicians who perform SmartLipo, but did not obtain their primary training or board certification in surgery, Dr. Breitbart received his residency and fellowship training exclusively in surgery, and has been performing liposuction and other cosmetic procedures for over 20 years. He is board-certified by both the American Board of Plastic Surgery and the American Board of Surgery. As a minimally invasive procedure requiring only tiny hidden incisions, SmartLipo is still a surgical procedure that should be considered a refinement to traditional liposuction, and Dr. Breitbart has been using SmartLipo as his liposuction method of choice for the last few years, and uses the latest SmartLipo Triplex device. Since patient safety is a top priority for Dr. Breitbart, he only performs SmartLipo in his certified office operating room facility, which is accredited by the American Association for Accreditation of Ambulatory Surgical Facilities (AAAASF), assuring that the SmartLipo is done under the highest patient safety standards. This is unlike other physicians who do not perform SmartLipo in an accredited surgical facility. For most patients, Dr. Breitbart uses local anesthesia to perform SmartLipo. For other patients with more extensive areas to be treated, or who prefer sedation, sedation anesthesia by a board-certified anesthesiologist is also available. Dr. Breitbart graduated with high honors from Princeton University and obtained his medical degree from NYU School of Medicine. He studied art at the Arts Students League and School of Visual Arts in New York. He completed his general surgery and plastic surgery residencies at the prestigious NYU Medical Center and went on to complete fellowships in facial and breast reconstruction. Dr. Breitbart has been repeatedly honored by Castle Connolly as one of the top plastic surgeons in the New York metropolitan area and has been named by Newsday as one of the top plastic surgeons on Long Island. As a board-certified plastic surgeon, in addition to SmartLipo Triplex and Cellulaze, Dr. Breitbart offers the full spectrum of cosmetic procedures to his patients, including abdominoplasty (tummy tuck), facelift, breast augmentation, breast lift , and other procedures. If, for example, a patient would have a much better result with a tummy tuck than SmartLipo of the abdomen, Dr. Breitbart would give his honest assessment, and be able to perform the procedure which gives the patient the best possible outcome. If a patient has significant loose neck skin in addition to excess neck fat under the chin, Dr. Breitbart can perform, if needed, a mini-facelift or mini-necklift in addition to the SmartLipo in order to give the patient the best possible contour. Despite a busy professional life, Dr. Breitbart has also devoted himself to numerous charitable organizations. He is an accomplished marathon runner and has raised money running marathons for causes supporting the American Diabetes Association, Hurricane Katrina relief, burn victim treatment, cancer patients, and children and adults with physical and mental disabilities. He has also donated his services to charitable organizations by performing reconstructive surgery on needy children. If you are considering SmartLipo, Cellulaze, or other cosmetic surgery procedures, Dr. Arnold Breitbart can deliver exceptional results. Contact our Long Island or Manhattan office today for a free consultation with Dr. Breitbart, and find out what SmartLipo and Cellulaze can do for you.